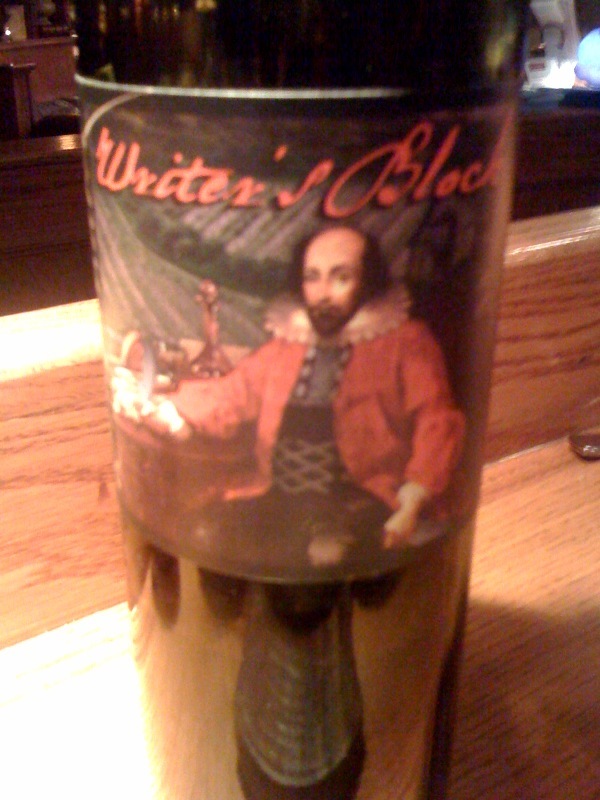 A bottle of Writer's Block is sure to cure what ails you. I shared this red zinfandel with my BFF Heidi after seeing Eat Pray Love Saturday night. I Ate Drank Wrote and Edited my manuscript shortly thereafter. For those who saw the movie, it was therapy! I spent most of the weekend happily sequestered for the most part while I finished working on manuscript #2. Woo hoo! I still have one or two poems to tweak, but I'm pleased with the outcome. I gave the work my best effort; these poems are a true reflection of who I am now and where I am as a poet. No guarantees, even with one book published, that this one finds a home. But I am hopeful about its chances. This last edit was a copy edit--like a deep tissue massage for the overall collection. I read each poem aloud to get a feel for the rhythms and rough spots. Spent lots of time noodling over poems I thought were complete--even ones that have been published. Found myself adding two poems I really wanted to get in there. The collection has four sections, and "Misery Islands" is in the third. Ugh. I'll take one final look at the order before sending it out for review. Yippee! Now that this body of work is near completion, I'm ready to put it behind me to start a third collection. I've already mapped it out in my head. I have lots of projects in planning stages, including co-planning an event to coincide with the Mass Poetry Festival's October month of poetry. Should be a good month for poetry in the Bay State. Also planning a reading during AWP DC. Hi, January. I'm intrigued by your comment about the next book and how you've "already mapped it out" in your head. Can you say more about how that works? I've never been able to think in those terms, just taking the poems as they come and then forming a book in the aftermath. Great questions, Sandy. I think I'll expand upon the answer in a blog post a little later today when I have time.